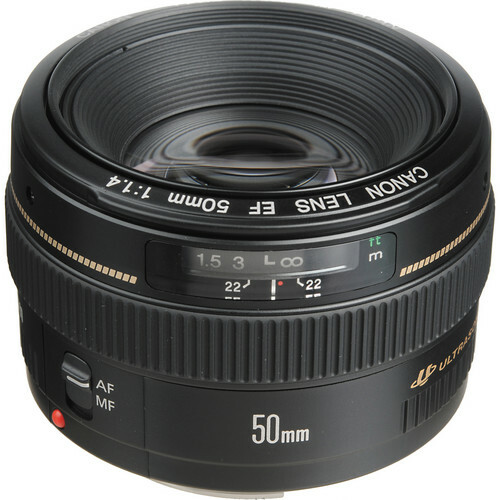 The Canon 50mm f/1.4 USM is a versatile normal-length prime characterized by its bright f/1.4 aperture to suit working in low-light conditions and for producing shallow depth of field imagery. This lens also features a Gaussian optics design, along with two high refractive index elements and one aspherical element, to control spherical aberrations and distortion for high sharpness and clarity. A Super Spectra coating has also been applied to suppress flare and ghosting for improved contrast and color accuracy when working in difficult lighting conditions. Complementing the optical design is a micro USM, which enables quick and quiet autofocus performance along with full-time manual focus control. 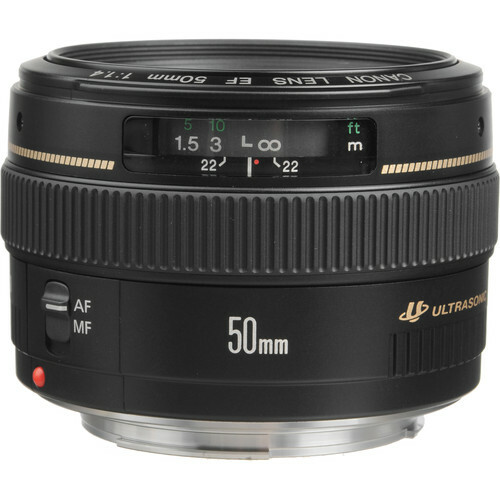 Rent the Canon 50mm f/1.4 EF USM Lens today from Deck Hand Camera Rentals!